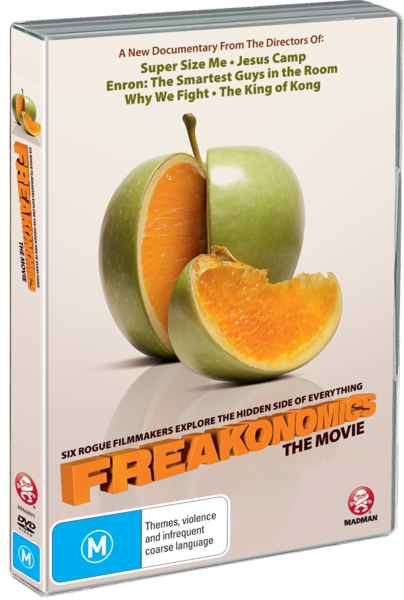 Freakonomics Last Neanderthal DVD Review Be that as it may, the film itself is technically a triumph. Does the quality of the content match the quality of the presentation? I’m not sure, but it’s made me think about a whole lot of things, and I’m going to chalk that up as a win. 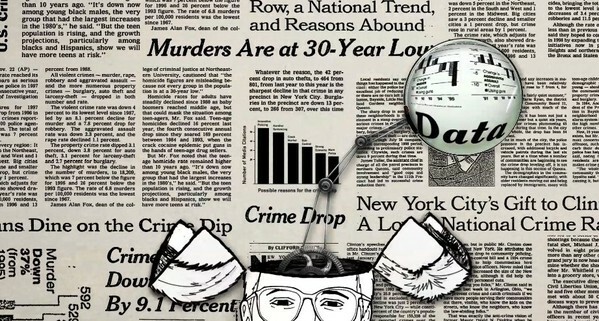 Freakonomics is a really solid example of how to do a documentary when your subject is more academic and abstract than your standard mammals/planets/waterfalls/pyramids fare. Based on the book by the same name, Freakonomics deals with sociological issues such as cheating, student performance, and – most controversially – abortion. Each of these is analysed in novel and surprising ways through an economic lens (although it is disconcerting to note that the presence and nature of that lens is not always explicit). It’s all rather compelling stuff, and very slickly presented. Each issue gets its own segment, a mixture of interviews and infographics. The authors of the book are a constant presence; economist Steven Levitt and journalist Stephen J. Dubner casually and conversationally talk us through each of the issues. They’re never too cute, never too condescending, and they keep the whole thing rocketing along at a nice pace. This basic format (a highly entertaining informal panel discussion) is supplemented by animated charts, graphs and other imagery, all of which are remarkably well produced and firmly lead us to the desired conclusions. As for the content, there’s one particular ingredient which is used heavily and regularly. It’s that feeling of revelation that accompanies such comments as “I’ve never looked at it that way” or “Of course, it makes sense now” or “Why didn’t I think of that?” These feelings are always the best part of any learning experience, and Freakonomics delivers in spades. Plenty of surprising methods and explanations are deployed throughout the film. A link between crime rates and the constitutionalisation of abortion rights in America, social fortunes as related to birth names, and the detection of corruption in sumo wrestling – all are explored in a way that just seems to make sense. This instinctive acceptance of such beautifully sense-making stories is Freakonomics’ greatest strength, and also the aspect of the film which should put you on guard. Some of the explanations simply seem far too neat, and if you pay close attention, competing theories are often quickly brushed aside. A short session of Google-fu quickly reveals that much of the documentary is subject to serious debate. Sometimes the data are contested, sometimes a competing theory is argued to be a better fit, and sometimes the audience is warned that economics might just not be a one-size-fits-all science that you can apply to any field of life, no matter how much the Freakonomics crew wish it were so. Be that as it may, the film itself is technically a triumph. Does the quality of the content match the quality of the presentation? I’m not sure, but it’s made me think about a whole lot of things, and I’m going to chalk that up as a win.